Technology is an ambiguous word referring to a wide range of marvelous (and sometimes scary) man-made gadgets. Deciding what technological trends are important depends on the activities in which you or your organization are involved. Regardless of your area of interest, technology of some sort is going to impact it in the years ahead. 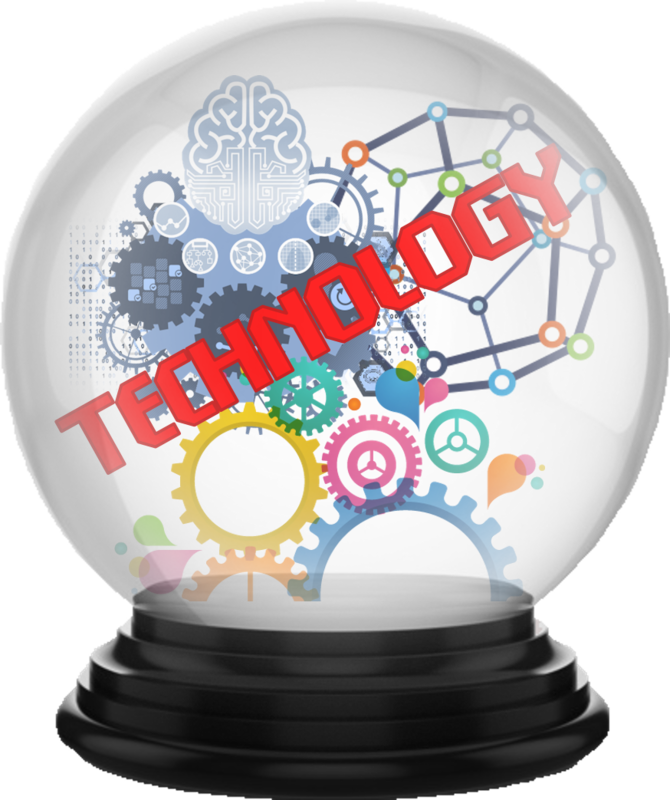 Prolific inventor Dean Kamen once stated, “Every once in a while, a new technology, an old problem, and a big idea turn into an innovation.” In this article, I want to look at some of the new technologies prognosticators believe will be useful in addressing persistent business problems in the years ahead. Fifth Generation (5G) Wireless. Every telecommunications provider is working on the roll-out of 5G systems. Kalyan Parbat explains, “5G or ‘fifth-generation’ is a fast, wireless broadband technology that will transcend smartphones and connect anything from cars, machines and home appliances at speeds 50-to-100 times faster than present 4G networks. It will offer lower lag times when transferring data.” Everything from smart industries to smart cities will use 5G technology. Distributed Ledger (aka Blockchain). Distributed ledgers are touted as a secure way to exchange data and garner trust. This technology is likely to be used widely in supply chain operations to provide better visibility and reduce the costs of recalls. Gartner warns, however, that blockchain technology could easily run afoul of new privacy regulations. It explains, “Companies that implement blockchain systems without managing privacy issues by design run the risk of storing personal data that can’t be deleted without compromising chain integrity. A public blockchain is a pseudo-anarchic autonomous system such as the internet. Nobody can sue the internet, or make it accountable for the data being transmitted. Similarly, a public blockchain can’t be made accountable for the content it bears.” Privacy is just one of the growing pains distributed ledger technology will suffer in the years ahead. The Bhartiyas conclude, “Change and transformation are the only constants, always driving us into the future, right from the time fire was discovered [and] the wheel was invented. Industries have been undergoing massive transformation right from the industrial revolution. It is the pace of change that is now much faster. Collaboration and automation are happening across industries, using technological trends like artificial intelligence (AI), cloud computing, mobile technology [which are] improving decision making [along with] performance and efficient use of limited resources. … Abraham Lincoln rightly said, ‘The best way to predict future is to create it’.” Although the above list is not exhaustive, it does provide a glimpse into how businesses are trying to create a better future. David Weldon, “10 top technology trends to watch in 2019,” Information Management, 12 October 2018. David Weldon, “7 top technology trends that will shape business in 2019,” Information Management, 19 November 2018. David Weldon, “Gartner’s top 10 tech predictions for 2019 and beyond,” Information Management, 22 October 2018. Michael J. Miller, “Gartner’s Top 10 Strategic Technology Trends for 2019,” PC Magazine, 16 October 2016. Kalyan Parbat, “How 5G technology can play crucial role in agricultural growth and smart cities initiative,” Gadgets Now, 7 April 2018. Tarika and Varun Bhartiya, “The Future of Things,” Entrepreneur India, 10 November 2018. Samantha Ann Schwartz, “7 ‘scary’ and disruptive technologies to watch out for,” CIO Dive, 18 October 2018.